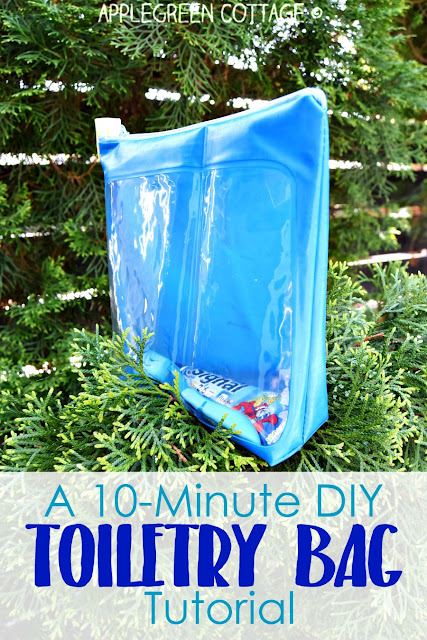 A 10-Minute DIY Toiletry Bag Tutorial - The Easiest Zipper Bag You'll Ever Make. 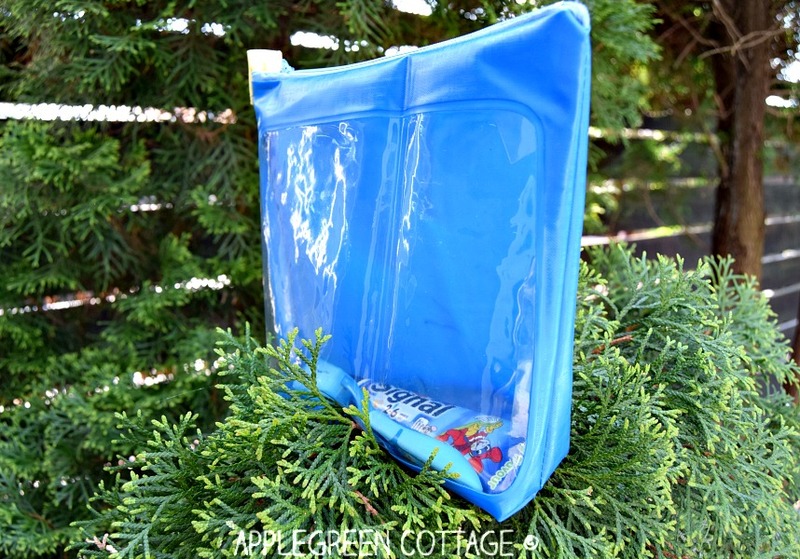 Who doesn't like a simple toiletry bag? 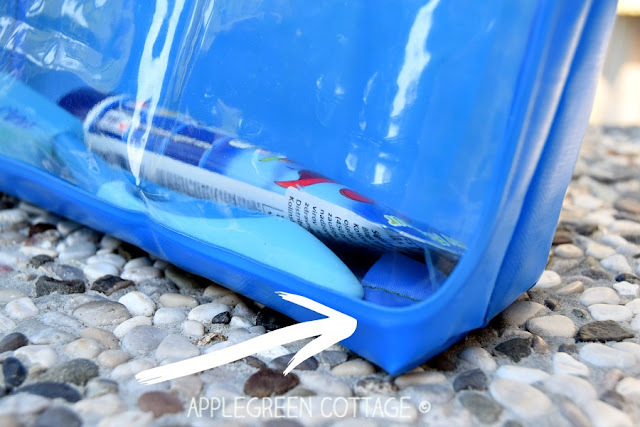 You can make your own, to store your toiletries when you travel. All you need one piece of 'fabric' and a zipper. Do you know how quickly you can make it? 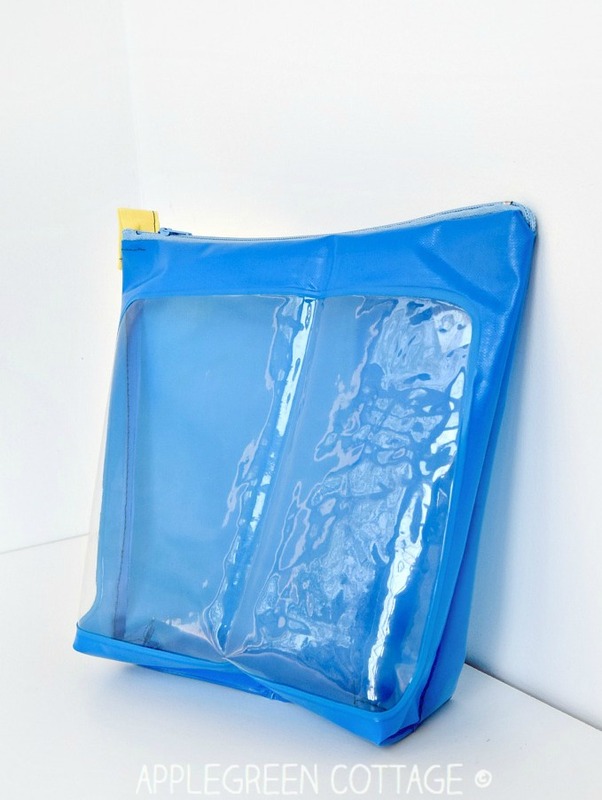 This unlined, simple straight-line zipper pouch might take you less than 10 minutes. 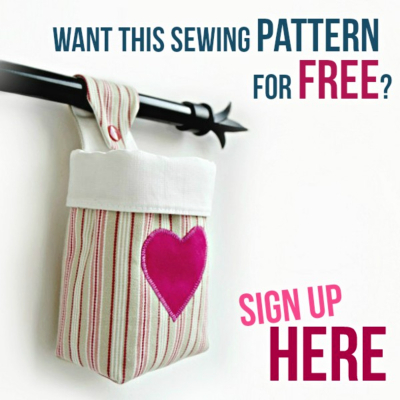 Have a look at the tutorial and sew a cosmetic pouch for yourself or as a gift for a friend. I made this cosmetic pouch the day before my older child went for a three-day vacation with the kindergarten group. I was packing his stuff, but realized I had nothing even remotely waterproof to act as a toiletry pouch. And it was just after I got tired of chasing a simple, boy-themed zipper pouch for toiletries, having visited 5 shops, just to find out there were only grown-up cosmetic pouches with tons of pockets and compartments, and a few small-sized, totally pink ones with lace or glitter. What I wanted was a low-profile, plain zipper pouch for a kid that's currently totally into cars, trucks and slugterra characters. In a material that will protect the entire travel case contents from a dripping wet toothbrush. I realized I could have made a nice bunch of cosmetic pouches during the time I was looking for them in my local stores. Next time I will skip the shopping, it'll save me lots of time :) Now, let's get back to how to make this simple zipper pouch. 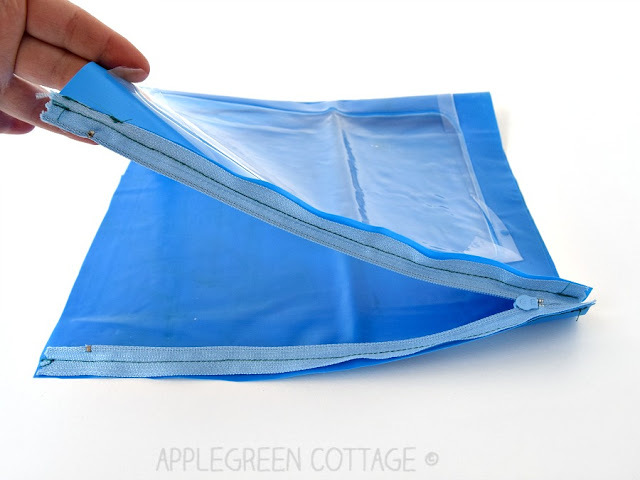 one plain, standard nylon coil zipper, any size you'd need. I used the standard nylon-coil 7" zipper. 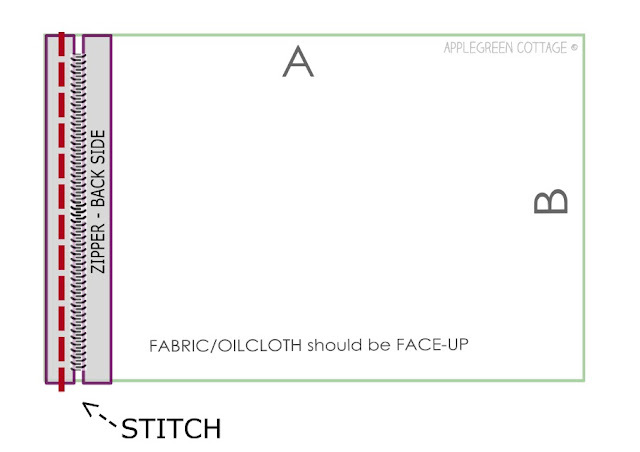 This is an outline of what you need to bear in mind when cutting out your 'fabric' piece. B = the width of the rectangle should equal the zipper size (i.e. the total length of the zipper tape!). 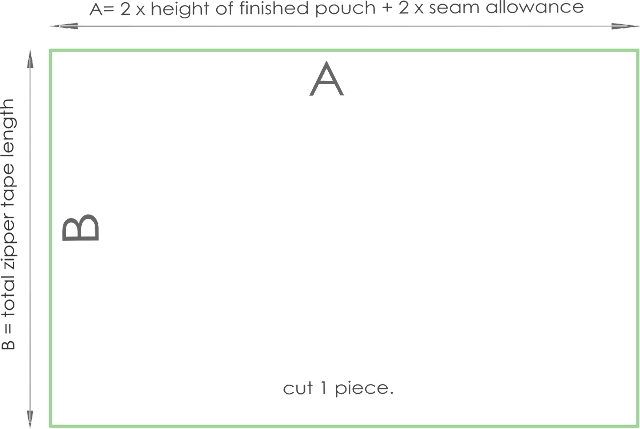 This will be the width of the cosmetic pouch. A = As for the height of your zipper pouch, you have free choice. Bear in mind: if you'll box the corners (more on that later), you'll need a few inches more. The dimensions I used were approximately (A) 16 inch, and (B) 8 inch. Perfect for a kids toothbrush size. 2) Place your fabric right-side-up on a flat surface. Then, place the zipper right-side down on the side marked 'B', aligned with the fabric edge. Stitch the zipper to the edge of the fabric. That is, sew one straight line. BONUS TIP: Make sure you back-stitch a bit at the start and end of each stitch, to secure the seams. 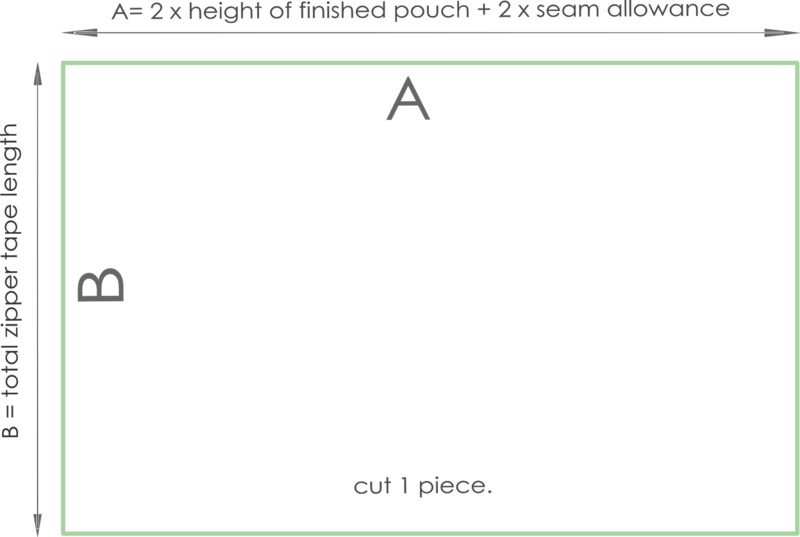 4) Now make sure to UNZIP THE ZIPPER before sewing the sides! This will make it possible to turn the project right-side out. 4) Leaving the project 'right-sides-together' and the zipper folded in (and open! ), sew another 2 straight stitches to close the sides of the cosmetics pouch. BONUS TIP: If you need to fix the sides before stitching, use wonder clips like these, not pins, as pins would leave marks in the material. Do you want to make boxed corners? 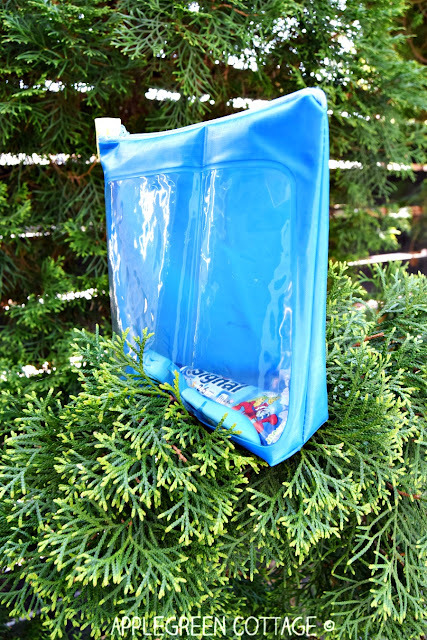 1) The pouch is still turned right-sides together. 2) Place one bottom corner so that the side seam is in the center. So, it's folded. 3) Now stitch across the triangle about an inch in. 4) Leave it folded, don't snip the triangle off. 5) Do this on the other bottom corner, too. 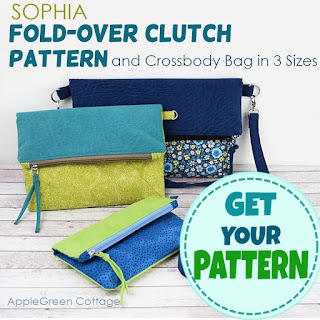 If you can't wait, it might be helpful to know that you can find detailed how-tos for boxed corners in my PDF patterns such as the KAIA Mini Bin, or the TEYA Crossbody Bag. Now, back to our toiletry bag: I love how it came out. It's roomy enough, and practical. That's altogether 6 straight stitches. The most plain easy way to make a pouch, isn't it? 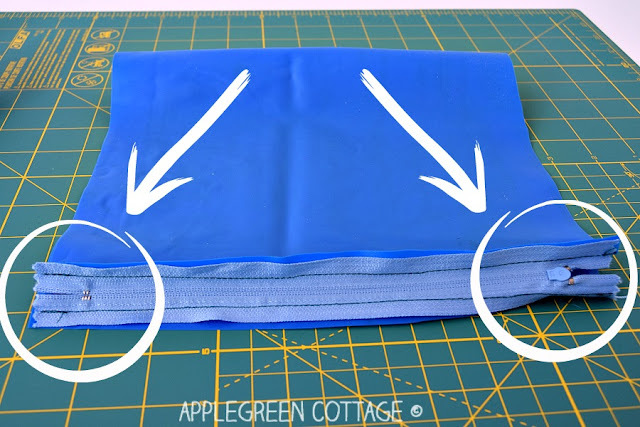 I would never imagine making an unlined zippy pouch could be that easy. Truth being told, the first zipper pouch I made was lined, with a rounded zipper part, and as it turned out, was not at all as quick as I had hoped. Then, it just went on with lined pouches. Everything I made was lined. Only later I discovered the joy of making tons of easy, unlined, simple straight-line zippies. Yey, how quick!!!! 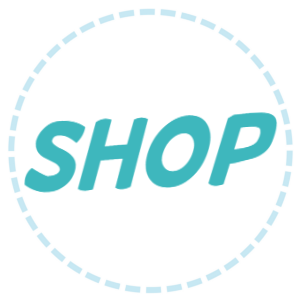 How quick and easy, and totally beginner friendly! So, this cosmetic pouch is one of these no-fuss zippy pouches. Now, a question. Do you have a piece of waterproof or water repellent material lying around? Oilcloth, a used-to-be-a-bag kind of thing? 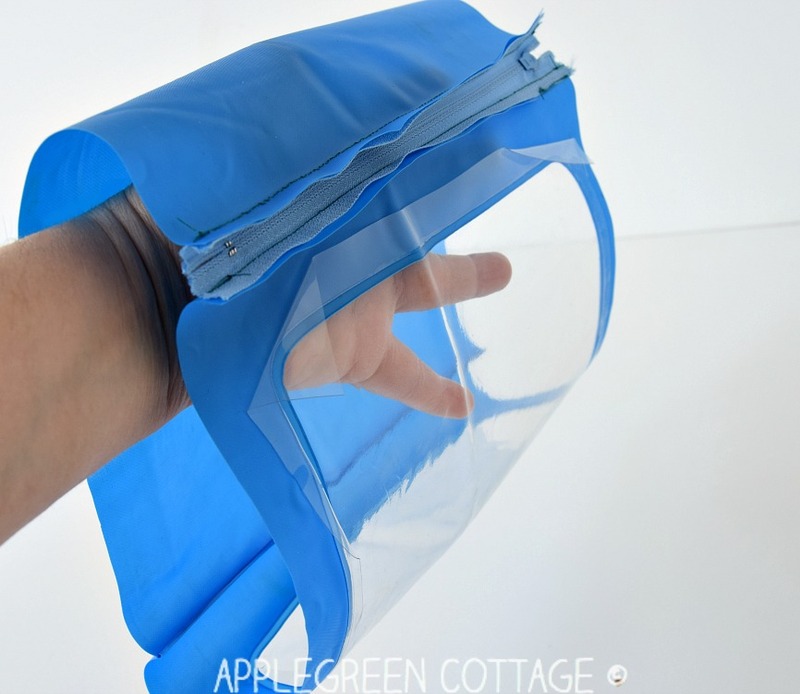 Anything, You can use it to make a simple cosmetic pouch like this one, it will take you no more than 10 minutes. Ready, steady, go! 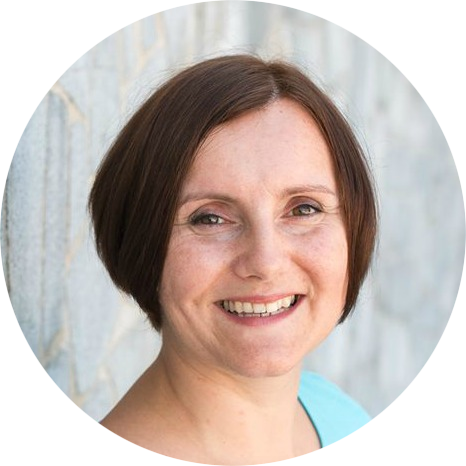 Clever idea, Damjana, and as always, a great tutorial. Featured today.